Darren Keet went down to Benni McCarthy's team, Dino Ndlovu scored yet again, Ayanda Patosi provided an assist, while Tokelo Rantie had a rare spot on the bench in Europe on the weekend. Claasen came on for the final eight minutes as his German Bundesliga II side 1860 Munich continued their miserable start to the season with a 1-0 loss at Greuther Fürth. 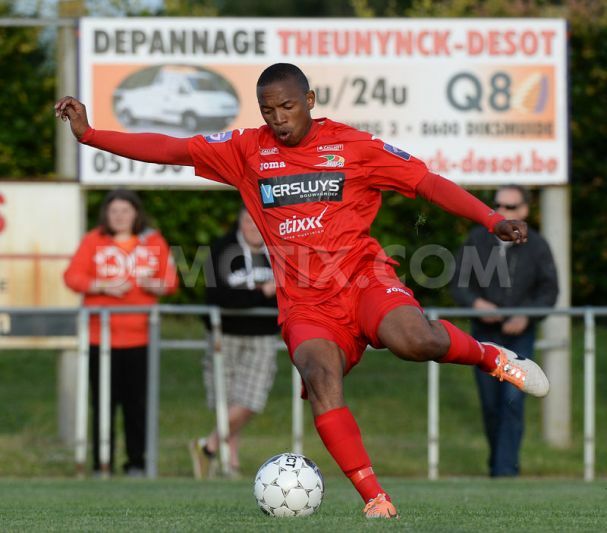 Jali played the full game as Oostende twice came from behind to secure a 2-2 draw at champions Gent. Keet played for Kortrijk as they lost 2-1 at Sint Truiden, a much-needed win for the club where Benni McCarthy is assistant coach. Marakis was a second-half substitute for Ermis as they lost 4-0 at Anorthosis Famagusta in Cyprus. Mashamaite played in Swedish side Hacken’s penultimate match of the campaign as they won 5-2 at home to Elfsborg. Mokotjo played for Dutch league side FC Twente in their 3-1 loss to champions PSV Eindhoven. Ndlovu was among the goals again as he netted the first in a 4-0 win for Cypriot side Anorthosis Famagusta over Ermis, his seventh in seven games this season. Ngcongca came on for the final 21 minutes as Troyes slipped to the bottom of France’s Ligue 1 with a 1-0 loss at Bordeaux. Patosi provided an assist as his Belgian side Lokeren returned to winning ways with a 2-1 success at Westerlo. Patosi played the full game. Phiri played the full game as Brondby claimed a 2-1 success at home to Midtjylland. Ralani was a substitute for Danish second-tier side Lyngby as they let a late lead slip to draw 4-4 with bottom side Vestsjælland. Shipalane played for USA second-tier side Carolina Railhawks in their 1-0 loss to Tampa Bay Rowdies. Rantie had a rare place on the bench for Bournemouth but did not get on in the 5-1 home loss to Tottenham Hotspur. Surman played the full game.